There's plenty to indicate the higher up the hierarchy ladder a person finds themselves, the less responsibility they're willing to take when it comes to crisis management. Luckily, some companies are honourable exceptions, but that's just what they are: exceptions. You wouldn't encourage your daughter to play a guitar solo at her school's end-of-term ceremony if she hadn't shown up for rehearsals. If you play golf, you certainly won't threaten Tiger Wood's position with your 15 minute quarterly training session. The universal truth is that planning, preparation, and practice are vital if you wish to be effective. I can’t prioritise this / It's not a part of my KPIs. No incidents will occur on 'my watch'! This level of preparation sounds like overkill. How difficult could it be? I can handle it without training. I have a lot of experience in this area and don't need to practice. I am waiting for a leader to initiate an exercise. For those of you who don't want to be blamed when routines collapse, I have a fool-proof solution to the excuses mentioned. The starting point of which is to practise your initial crisis handling briefly, but frequently. Weekly exercises on alerting and mobilising build your team's ability to switch quickly from normal mode to crisis handling mode. 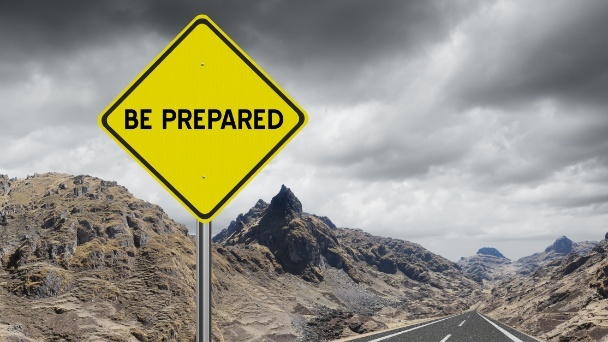 Although underappreciated, this kind of training – little and often – will actually have a greater impact on your level of emergency preparedness than big, full-scale enterprise exercises. How will I be notified or summoned to participate in crisis management? Can I easily recognise and answer the notification? What should I do when "the alarm sounds"? What is expected of me during the first few minutes? Who will I work with when handling a crisis? Where will we meet – a physical location or a virtual one? Where can I access the plans I need to follow? What procedures will we follow? Who's in charge? Will I lead any processes? How do I access the tools I need? When all insecurity around these questions is eliminated, your crisis management team will avoid the misunderstandings and hassle often associated with teamwork during crisis situations. Frequent and fast exercises make the team capable of focusing on bigger and more important issues. Colleagues who understand their role and develop confidence dealing with their crisis tasks can work quicker and better withstand pressure. It's all about going into crisis handling mode quickly and accurately. Weekly, 15-minute sessions build that solid foundation that will make sure your team are ready to handle the situation when a crisis strikes. Morgan is a graduate of the University of Stavanger and the Police Academy and has worked with security, emergency response and crisis management for 15 years. He has led projects and been an advisor for both businesses and the public sector He has also worked extensively with change management related to crisis management capability. Morgan is a partner and managing director of One World.